Well... I got tired of dealing with custom loop water cooling and decided to switch back to basic for easier maintenance and part switch out. That's a beautiful case indeed. 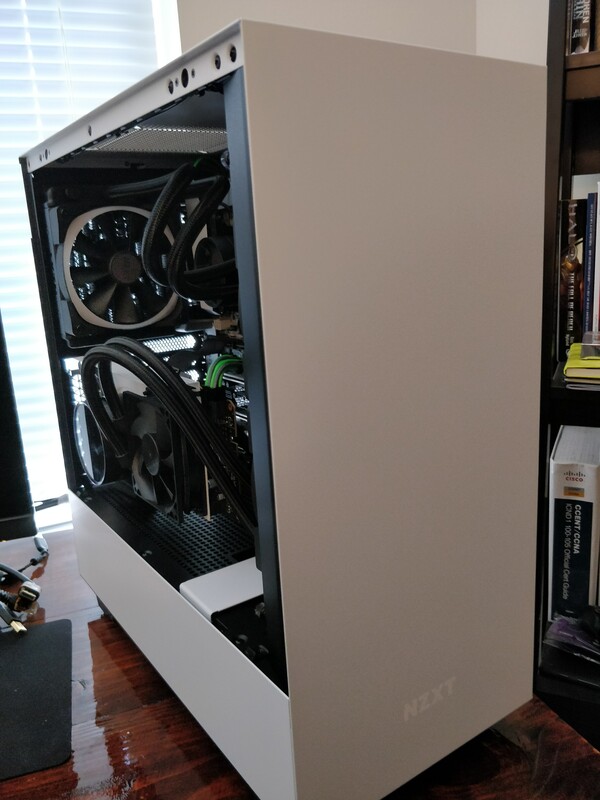 I'll probably replace my Thermaltake V4 soon and i thought about a NZXT H500, but i'm a little concerned about GPU temps. Especially something like a 1070 ti/1080. 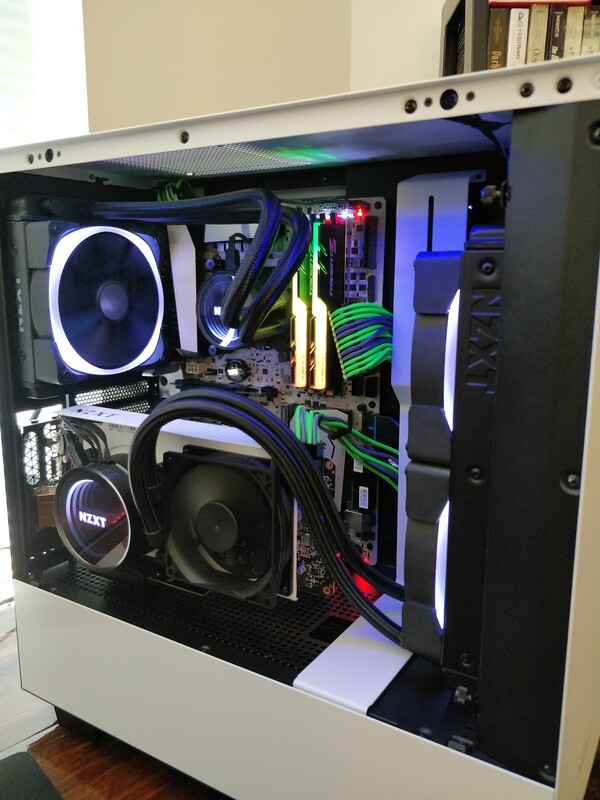 It's a shame you can't route those GPU cooler tubes differently, but nice and tidy build. I like it, nice job. Nice system. How are you finding the Predator? Sorry I mistake that for something else, it, not the x42 but the M22. Sorry for the confusion. 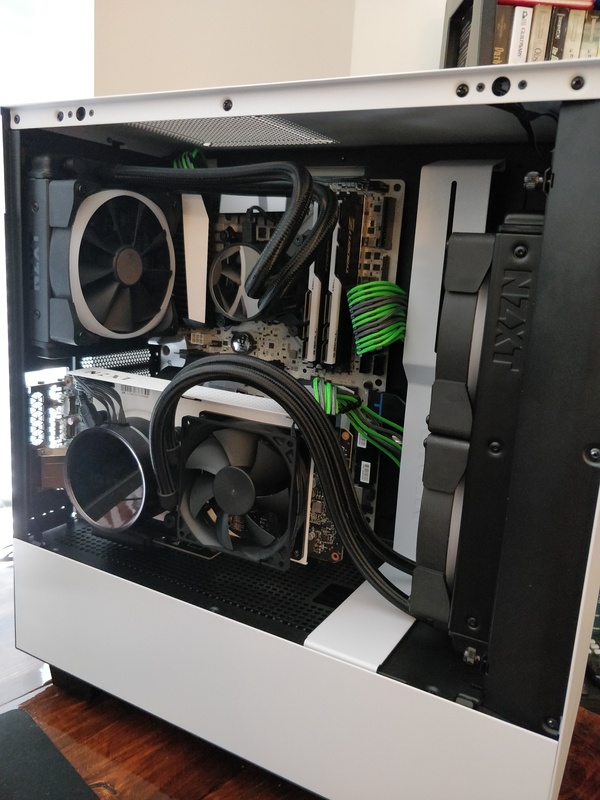 Also, if you going to do verticle GPU setup likes I did, the graphics card going to bend a little bit in with the side panel on; cause it to stick out a few millimeters. I ran the system with the side panel off cause of that. It great, I just need to remember now then again to check to make sure G-Sync is on and the 100Hz OC is on lol. I'm starting to run into that issue whenever you have a screen for a while; it starts to look smaller to me now . First time I bought it, I thought it was gigantic, the box couldn't even fit in my car, now it looks standard size to me lol. Ok, so M22 is the correct one. The idea was to use verticle gpu too, but if you tell me the windows wont fit..., My idea is to put on verticle with g12. Its no way to do something to solve the window problem? ?, The windows doesnt close at all??ggrrrr. Thanks again and sorry about my poor english.